Protect your teeth by flossing with the Dr. Tung's Activated Charcoal Floss. The activated charcoal in this floss enhances cleansing and helps absorb plaque and bacteria plus you can enjoy the satisfying flavor burst of of lemongrass. This floss expands into inter dental spaces for super cleaning and work great with braces. Dr. Tung's flosses have a vegan natural plant wax coating, a recyclable paperboard container and are never tested on animals. 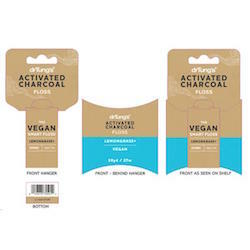 Ingredients: Activated Charcoal (Coconut), Lemongrass Oil, Natural Licorice Aroma, Curcuma Xanthorrhiza Extract, Proprietary Vegetable Wax Blend.